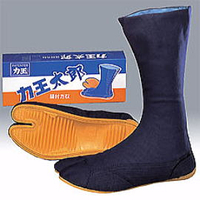 Rikio company was established as Ikuta Rubber Industrial Co., Ltd. in 1948. 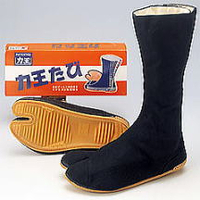 It invented "Rikio Hadashi Tabi" in 1951 and "Rikio Tabi" in 1964. 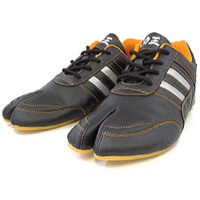 "Rikio Hadashi Tabi " was so named because "it adapted well to the ground and enables the wearer to walk as if he is walking barefoot". Originated at RikioTabi , it was also its patent No. 1 product. 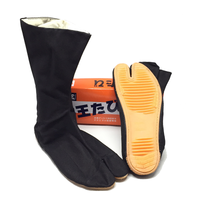 Currently it is a manufacturer of "JIKATABI ", boots and safety sneakers, etc.